In recent years, the FDA and other federal regulars have continually tightened regulations and created new legislation for the packaging and labeling of medical devices. These changes are due to mounting media pressures, highly publicized litigation and more patient power. With greater levels of scrutiny for this industry, it's shocking that so many medical device recalls in recent years are attributed to packing and labeling mistakes. Class I: Situation where there is reasonable probability that use of or exposure to a violative product will cause serious adverse health problems or death. Class II: Situation in which the use of or exposure to a violative product may cause temporary or medically reversible adverse health consequences. Class III: Situation in which use of or exposure to a violative product is not likely to cause problematic health consequences. The FDA released a study "Medical Device Recall Report," where researchers covered medical device recalls during a nine year period from 2003 to 2012. What was so startling about its report was that the yearly number of recalls skyrocketed 97 percent from 2003 to 2012. Essentially, the amount of devices on the market being recalled nearly doubled in less than a decade. The researchers attributed this significant increase to "enhanced awareness by device firms, including those that were cited for reporting violations; and specific [Center for Devices and Radiological Health] efforts to improve medical device safety." Packaging and labeling mistakes are one of the leading causes for medical device recalls. This report was part of an expansive initiative to improve public health through the reduction of product recalls and the creation of a more streamlined process for handling recall notices and retrievals. Certain actions the CDRH took to improve the FDA's recall program were to: establish a Recall Process improvement team, implement improved methods for communication, systematic analytic of recall information and improved internal processes to evaluate products. Why do medical device recalls still occur? With mounting regulatory and general public pressure regarding patient safety and cutting costs, it is truly astounding that a large portion of these medical device recalls are due to packaging and labeling errors. Despite innovative new packaging and labeling technologies, improved product design, medical research and various software tools for inventory management, mistakes are still being made. A Stericycle ExpertSOLUTIONS Quarterly Index examined FDA recall figures to identify key trends in the medical device field. What the researchers found, was that packaging and labeling errors were the leading cause for medical device recalls in just the first quarter of 2014, accounting for 53 percent of the overall total. With this high of a figure, it is time that manufacturers begin rethinking how they approach labeling and packaging their medical devices. "Packaging and labeling errors were the leading cause for medical device recalls." How can manufacturers reduce labeling errors? A 2016 PRISYM ID survey of medical device manufacturers and pharmaceutical companies found that 60 percent of respondents stated that labeling is a business critical process. This is especially true in an industry where one mistake could mean a patient's life is on the line. Despite this urgency and widespread belief in the importance of labeling, around 40 percent of participants said they were not confident or unsure about whether or not their current labeling processes were sufficient. "… With increased market changes and a competitive landscape, this is something that must be addressed now," Warren Ward-Stacey, sales director at PRISYM ID, commented. "Those in the medical device and life sciences industries should look at their current supply chain operations and consider whether their business processes can be reengineered to deliver renewed efficiency and value. By partnering with a technology provider that understands the environment, they can ensure they have a solution to suit the varied challenges that they will undoubtedly face in coming years." 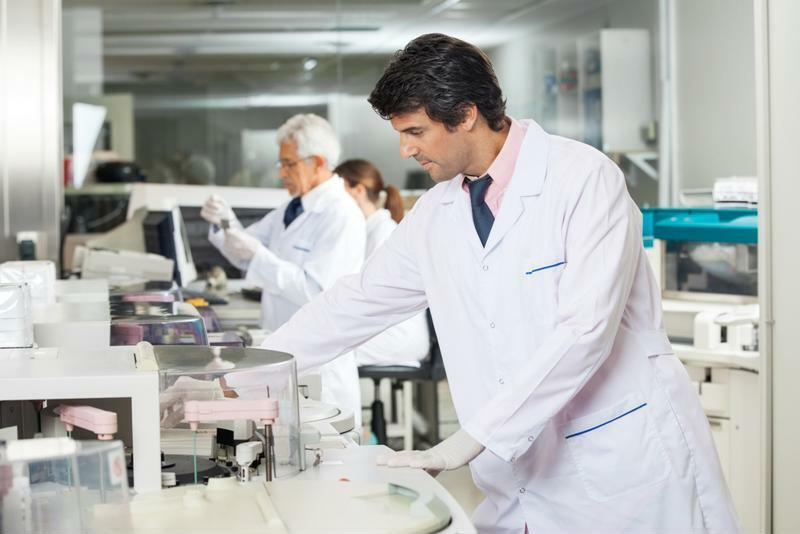 Medical Device and Diagnostic Industry explained that current labeling methodologies are lacking and that companies could do more to monitor, identify, capture and correct errors that occur during crucial production or label printing stages. As many manufactures invest countless resources into ensuring their data is accurate, they are facing serious risks by not developing a comprehensive strategy for compliant labeling inspections. Manufacturers must invest in dynamic labeling software that ensures that product data is accurate and compliant, while also ensuring their label materials are durable enough to withstand their products' environment. Employers must spend sufficient time and resources, making sure that the label remains intact and legible throughout the printing and production processes. Otherwise, the negative repercussions could be severe. With heightening regulatory compliance laws and greater emphasis on patient safety, manufacturers must do all in their power to guarantee the authenticity of their products. At Stranco, we understand the necessity of patient safety and accurate medication labeling. If you are a pharmaceutical or medical device manufacturer, you want to invest in durable thermal transfer labels that won't smudge, fade or become illegible throughout your entire supply chain process. Contact us today to learn more about our custom labeling options that are compatible with most thermal transfer label printers on the market. Posted in Labels & Signs.